Compare today’s agile transformations with the manufacturing and supply chain transformations of the 90s. Companies have documented substantially better quality, predictability, productivity, and responsiveness from both. 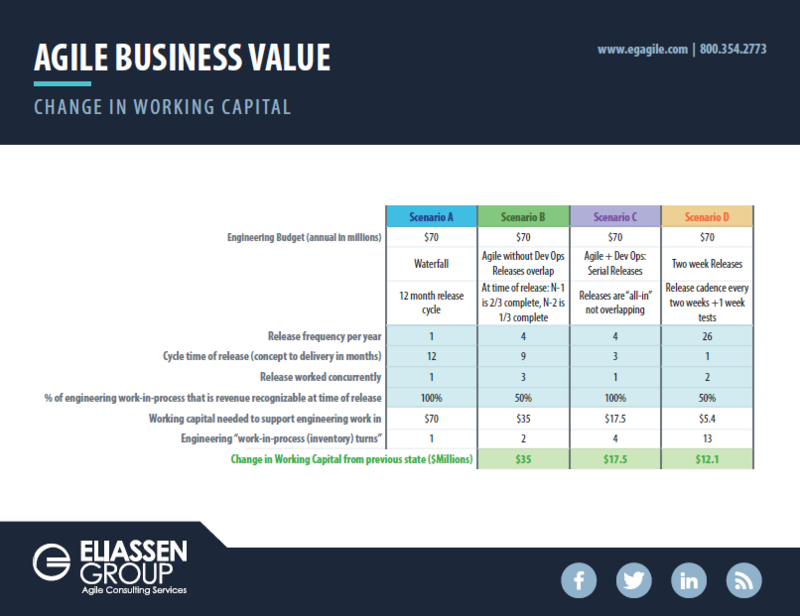 With the substantial reduction in cycle time between planning and delivery, the amount of working capital needed to fund work-in-progress is reduced substantially, and savings can reach the tens of $ millions. Do you have questions about this example and/or your own agile transformation? 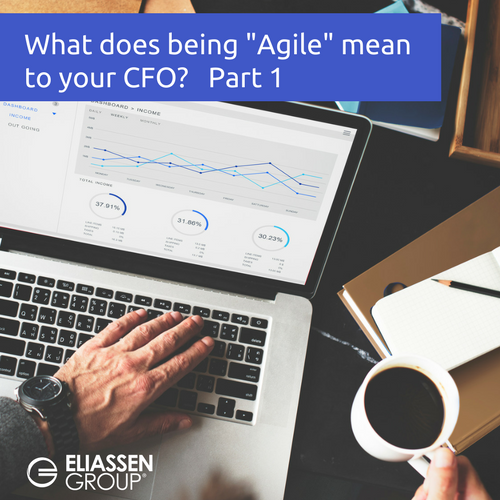 I’d welcome a discussion: agileinfo@eliassen.com.